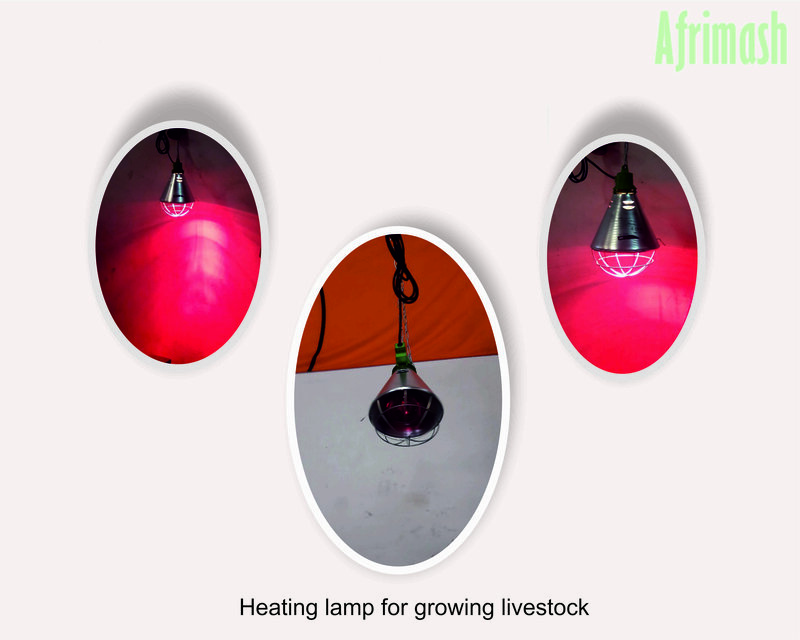 This heating lamp provides radiant heat to keep juvenile livestock warm and cozy-via the top-bottom heat effusion from the ultraviolet bulb. It features a brass base to minimize corrosion and hardened pyrex glass which is resistant to shattering (when in contact with liquids). 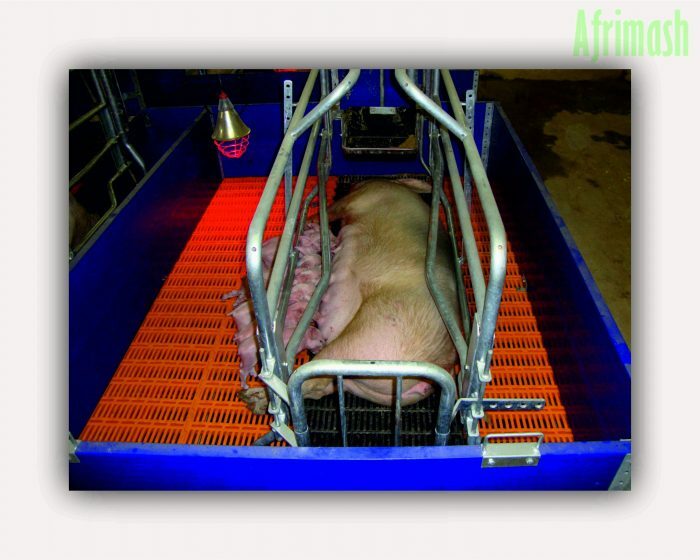 The heating lamp for growing livestock delivers “top-down” heat intensity in relation to the distance from the floor area. 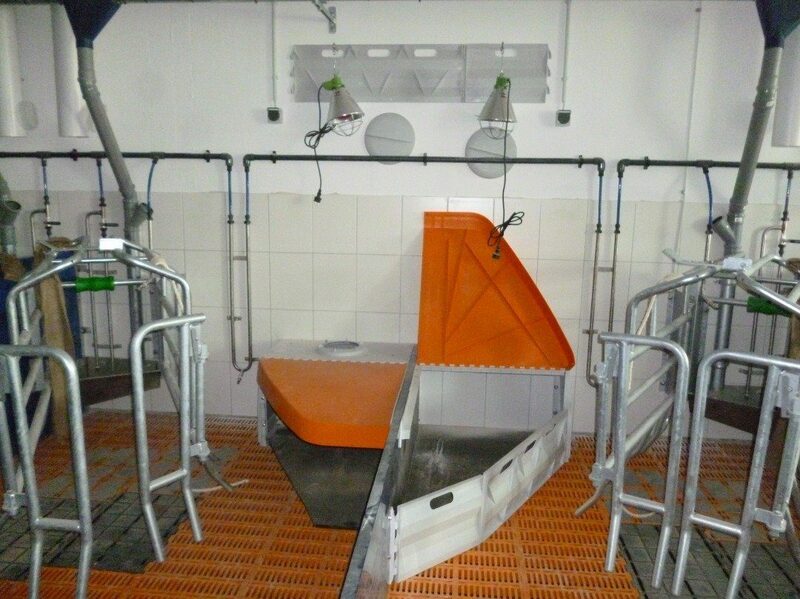 Heat placement for young livestock. Heat is a critical component for getting animals started quickly and maintaining optimal health. During farrowing, nursery, and wean-to-finish, a micro-environment needs to be maintained within the pig pen to ensure piglets are protected from chilling-which could result in scours, thus less healthy and thriving piglets. 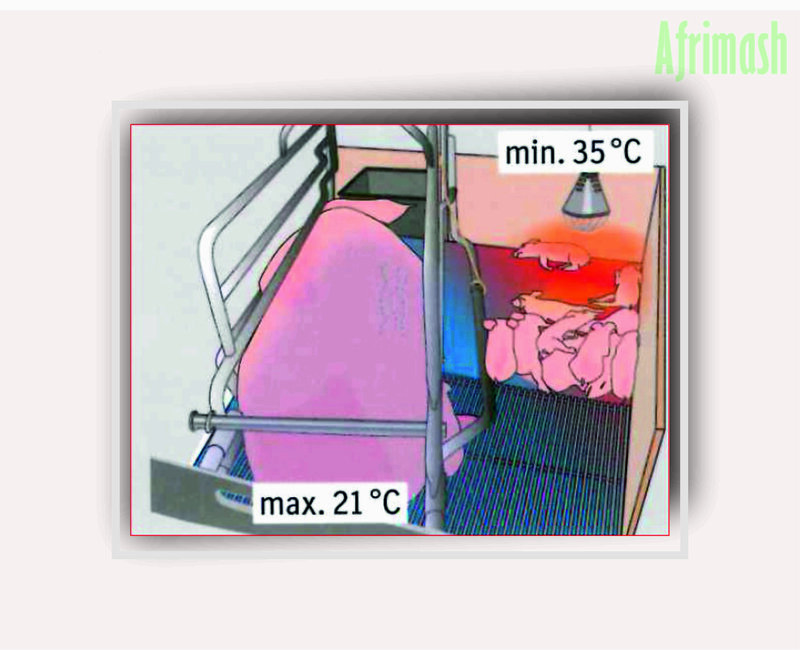 Top-down heat: Radiant heat from above the animals provides a zone of comfort for animals to go to the feeder/drinker then return under the heat source in the resting area. Bottom-up heat: Heat rises, so having heat under the juvenile animals tend to be more practical and economical as heat is not lost. This works well for farrowing and nursery animals. Provides a warm source of heat for growing animals (lambs, goat kids, chickens, piglets, ducks, puppies) or cold/convalescing animals. Features strong, safe and protective wire-guard, protected power cord and sturdy metal hanging chains. Made with glass reinforced plastic that is resistant to high temperatures. 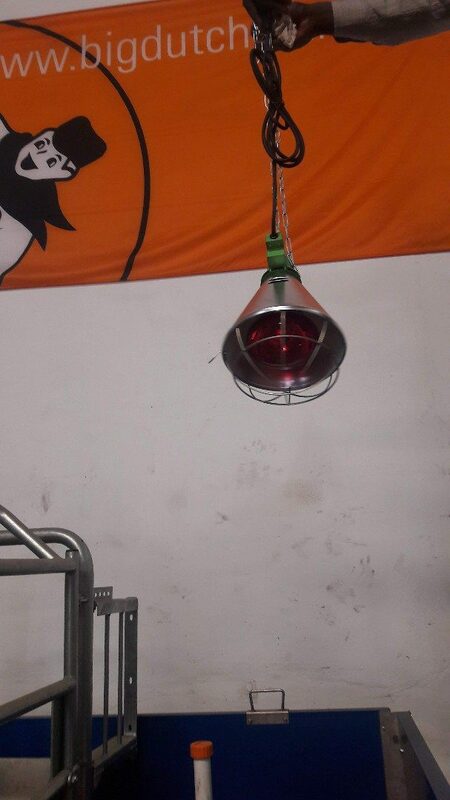 Wire-grill attachment keeps animals from damaging the bulb. Uses standard infrared (heat) bulbs, thus saves electric energy cost, thereby reducing production costs and complying with environmental sustainability requirements. Regular light/heat supply for juvenile livestock to keep warm as well as feed. It is very reliable with little maintenance required. Improves animal comfort and performance.